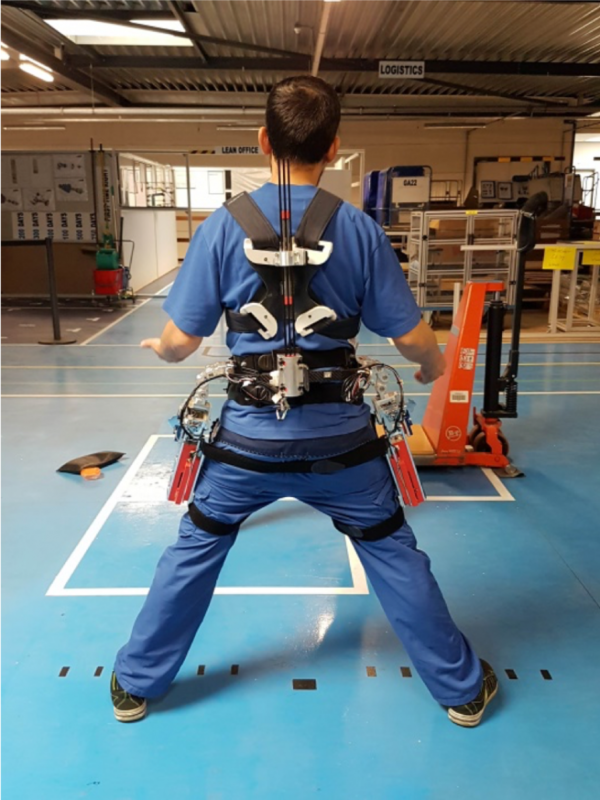 We performed a comprehensive evaluation of the new version of our passive SPEXOR exoskeleton, assessing the effect of wearing the exoskeleton on biomechanical loading of the spine, functionality, user satisfaction and self-efficacy. Recruiting employees from load-handling professions we tested participants with and without low back pain. We concluded that we reached beyond the state of the art by high versatility due to implementation of a clutch, higher support levels (50 Nm) and a limitation of lumbar flexion in static bending, leading to reduced loading of the spine during lifting and forward bend positions. 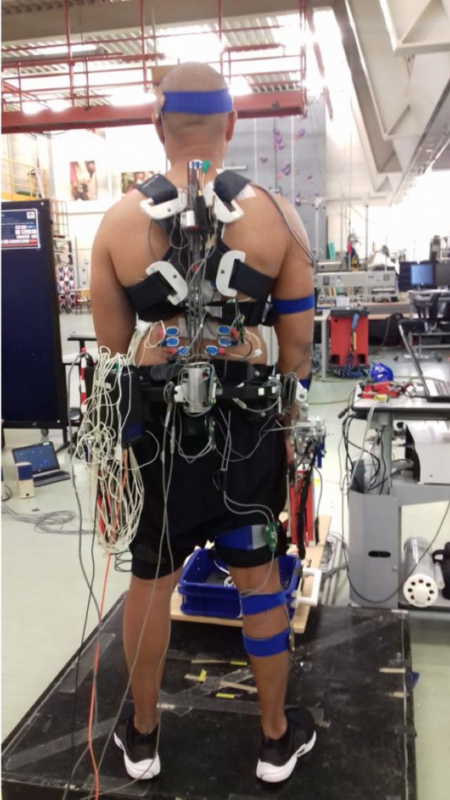 In addition, we solved previously observed limitations of benchmarking devices, such as interference with tasks, discomfort and restricted range of motion. Both, healthy people and employees with low back pain can benefit from wearing the device. Design improvements that can still be considered are higher support to increase the effect on spine loading and higher user satisfaction by improving general comfort.